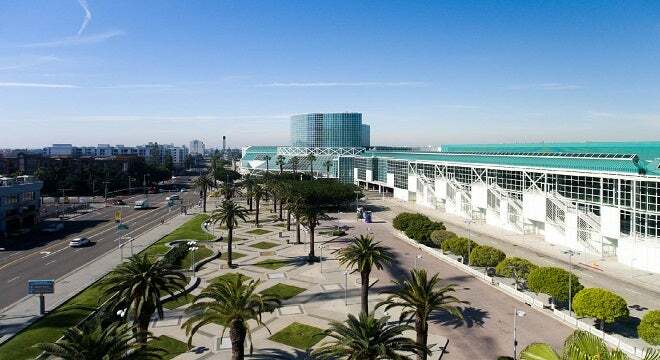 The Los Angeles Convention Center is the preeminent destination for meetings, conventions, trade shows, and exhibitions. Discover the allure of cosmopolitan L.A., where culture, history, and innovation fuse to provide you with an unparalleled experience. Located in proximity to endless dining, shopping, hotel, and entertainment options, the LACC is your event destination of choice. Explore the South Park Downtown L.A. neighborhood: Download Guide. Strategically positioned in central, downtown L.A., the Los Angeles Convention Center is minutes from nearby airports, including LAX and Bob Hope Airport. Public transportation such as buses and metro are also available throughout L.A. The Center is located steps from many downtown hotels, and is frequently only a short walk away. We also provide ample shuttle bus drop off zones for your convenience. Check out our Interactive Floor Plans for facility details.